Growth Strategies: How Should You Finance New Equipment? Home > Blog > Financing Advisory > Capital Structure > Growth Strategies: How Should You Finance New Equipment? As the economy starts to finally build some positive momentum, many Los Angeles and Southern California business owners and entrepreneurs are looking to expand their businesses by adding staff and equipment. With interest rates still at or near historic lows, now could be an especially good time to acquire the equipment you need to take your business to the next level. When it comes to acquiring equipment, you have three main options: pay cash for the equipment, borrow money to buy the equipment, or lease the equipment. There are pros and cons to each option — the best way to decide which is the best option for your company is to perform a detailed buy/lease analysis. Before performing this analysis, you should determine what your equipment needs may be over the next one to two years. Depending on the nature of your business, you might need to replace existing equipment that is worn out or obsolete, or you might need to add new equipment in order to accommodate anticipated growth over the next couple of years. Prepare a capital budget that anticipates your business’ near- and mid-term capital needs. Next, examine your relationships with lenders and/or lessors who can provide equipment financing if you decide to go this route. It’s usually advisable to establish these relationships before you actually need to borrow money, so now is the time to start thinking about this if you haven’t yet. Finally, keep in mind that now that the economy and manufacturing activity have started to pick up, lead times have increased for some types of equipment. Depending on your industry and the types of equipment you need, it could take longer than you anticipate for your equipment order to be filled. Be sure to take this into consideration as you anticipate your equipment needs and plan your capital budget. 1. Paying cash for equipment — The biggest benefit of buying equipment outright with cash is that you won’t pay any interest expense. Of course, you must have enough cash on hand in order to do this. This benefit must be weighed against the opportunity cost of not having the cash available to take advantage of other possible business opportunities. 2. Financing equipment — When you borrow money to finance the purchase of equipment, you’ll pay interest. But with rates so low today, many companies would rather pay interest and keep their cash in the bank so it’s available should other more profitable opportunities arise where their cash could be put to better use. 3. Leasing equipment — Like financing, leasing frees up cash that can be deployed in other areas where it may earn a higher return on investment. In addition, leasing is off-balance sheet financing, which improves your financial leverage and could make it easier to obtain financing for other reasons. Leasing also helps guard against equipment obsolescence — at the end of the lease term, the equipment can be returned or upgraded — and it also usually offers tax benefits. It’s critical to perform a thorough buy/lease analysis as you decide which is the best equipment acquisition strategy for your company. Otherwise, you could end up not only paying more for your equipment than you need to, but also misallocating your corporate cash in ways that cost your company in terms of lost potential new business opportunities. 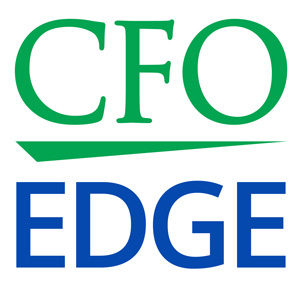 An outsourced CFO services provider can offer valuable assistance when it comes to performing this buy/lease analysis and determining the right equipment acquisition strategy. Such a provider is experienced in helping companies similar to yours formulate this kind of strategy, and will put this experience to work to help you choose the best course of action for acquiring the equipment you need to grow and expand your operations. Once you have decided on the best equipment acquisition strategy for your company, you can move forward with your expansion plans with confidence that you’ll be prepared to meet the increased future demand for your products and services that results due to your growth — and do so at a cost and on the terms that are best for your business. With interest rates still at or near historic lows, now could be a good time to acquire the equipment you need to take your business to the next level. You have three main options for acquiring equipment: paying cash, borrowing money or leasing the equipment. The best way to decide which of these is the right option for your company is to perform a detailed buy/lease analysis. An outsourced CFO services provider can offer valuable assistance when it comes to performing this analysis and helping you determine the right equipment acquisition strategy for your company.